We are gonna anger some ’90s kids with this contrarian take here, but whatever: Wes Anderson is overrated. Bottle Rocket was good and Rushmore was great, but he hasn’t quite reached that level again so far in his career. Fantastic Mr. Fox was refreshing because it was so different, and he certainly hasn’t produced anything as awful as Where the Wild Things Are. But dude’s style is so singular that he’s worked himself into a corner, in our humble opinions that no one asked to hear. 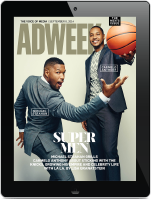 We bring this up because lots and lots of people who majored in advertising (and creative writing and design) love him, so we see a fair number of spots that kind of mimic that precociousness. The latest such campaign comes from Cossette, and it’s all about the fancy fancy ways people in Canada like to eat their McNuggets. But see, it’s not all little Margot Tenenbaums and their overbearing grandmas. This Eminem-looking soldier with his comically exaggerated accent has a super specific nugget style, too. 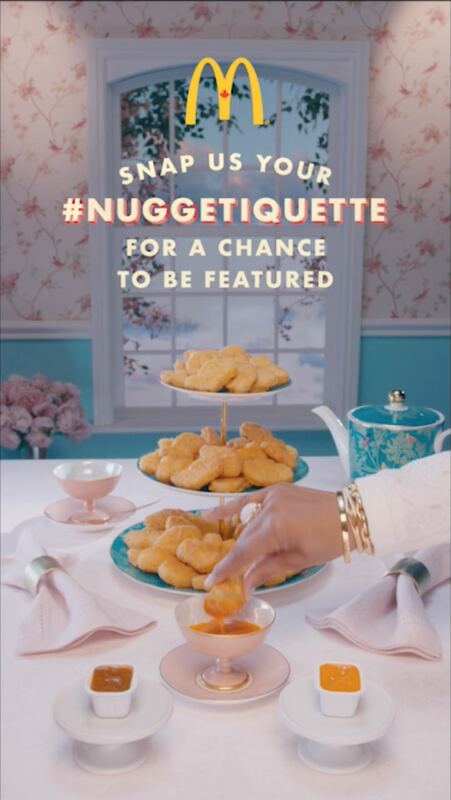 This summer, McD’s Canada took to the mean streets of Snapchat and Twitter to ask the public for their own case studies in #Nuggetiquette. The campaign has its own little tweet-moji(?) thing, and it’s really all about the new sauce. The idea is that the Cossette team will take the best of these submissions and turn them into the next :15s in the campaign. So it’s crowdsourcing. Hey look, positive discourse on social media in 2018! Take a screenshot, Jack.